Don’t buy a ticket to Seaworld! You don’t have to be a kid to take the Seaworld Pledge. 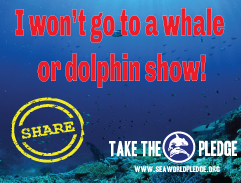 The Seaworld Pledge is for everyone who is passionate about ending marine mammal entertainment theme parks.